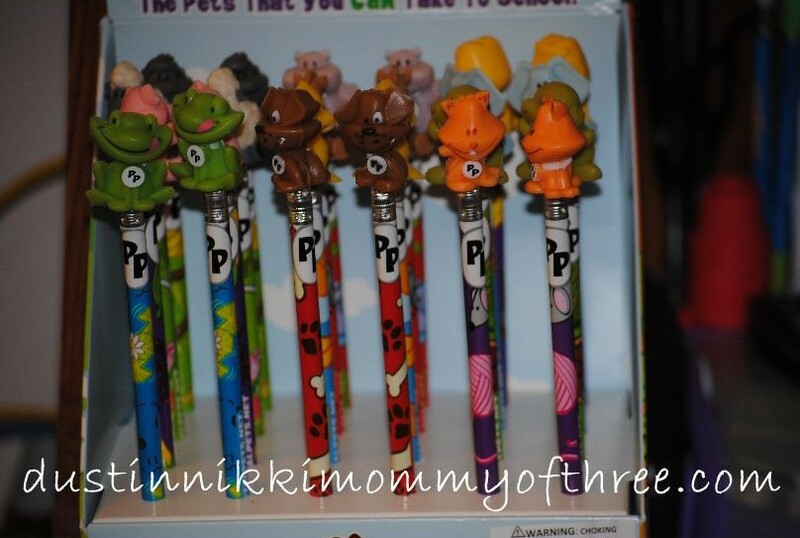 Pedestal Pets are pencil toppers with coordinating pencils but they are also educational. Yes, I said educational! There are three series that include Neighborhood, Safari and Barnyard Friends. The pencil toppers are animals which of course is why they are called Pedestal Pets. 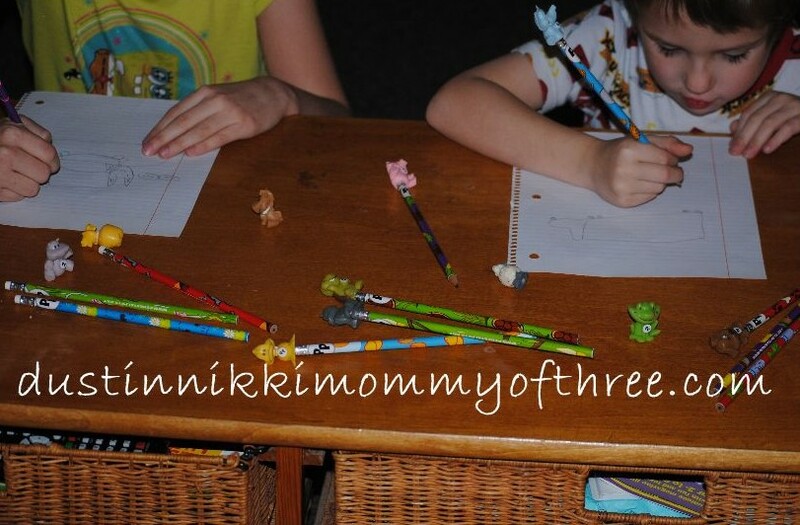 They are a new educational toy line of animal pencil toppers and they are absolutely adorable! Since I was given the opportunity to work with Pedestal Pets on a review, we were sent one of each of their series sets, one of their new pencil displays (which by the way, would be great for retailers) and animal fact cards! Each series set comes also comes with four (one for each animal topper) animal fact cards so that children can learn about quite a few different facts about each animal. For example, the safari series comes with a gorilla, hippo, elephant, and a lion. Each topper is sitting on their own pencil designed to match the animal. The gorilla’s pencil is designed with tree branches and bananas, the elephant’s has mice and peanuts all over it and so forth and so forth. Each topper has an animal fact card that lists 8 different animal facts on the back. Did you know that Lions live in groups of 15 or more called prides? Did you also know that a lion’s roar can be heard up to 5 miles away? I didn’t know that one myself! I think it’s a fun way to learn about animals. And like I already said, I adore the pencil designs. The horse pencil has horseshoes and hay, the kitty has yarn and mice, the dog has paw prints and bones, the sheep has a “meadowy” design on it, etc. It’s almost like the pencils are coated too making them easy to hold to write with and they are easy to sharpen. We have three defferent pencil sharpeners and haven’t had any problem sharpening them either. They are a great quality pencil! Of course they like to play with the toppers as little toy animals too! The toppers are about an inch tall and are not recommended for children under the age of three. The toppers are not erasers and are more like little animal toys. They are “squishy” and fun to play with! My kids love them and so do we! 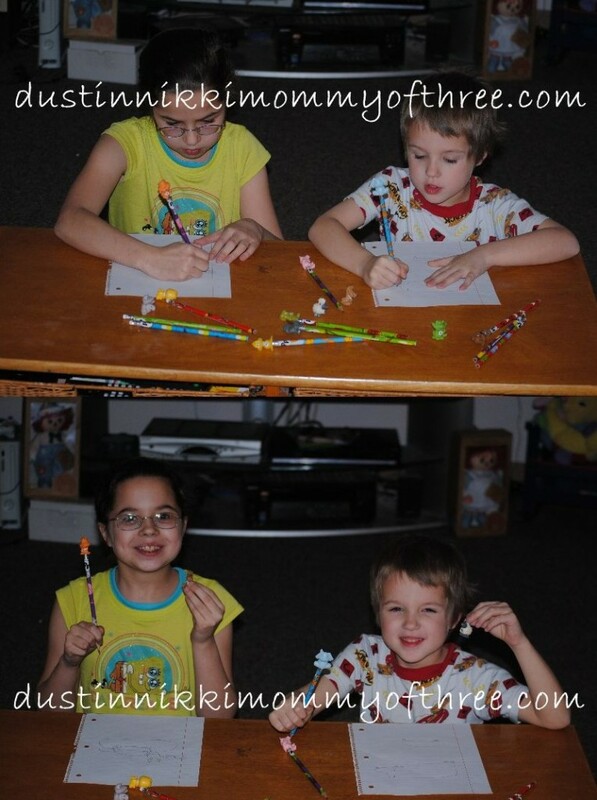 Fun pencils, adorable animal toppers, and educational animal facts all in one! Kids can also go online at Pedestal Pets and “adopt” the pets that they own. They can give them each a name and print birth certificates for each of them and there are different coloring pages and activities that can also be printed out! Pedestal Pets was awarded 5 stars from the WTS Toy Review, were featured in the Best New Products display at the National Stationery Show, and were also specifically selected as a “product of the day” on the first day at the International Toy Fair by TOYDIRECTORY and TDmonthly Magazine! Buy It: Visit Pedestal Pets website for more information any buy yours today. The 4 pack series sets for $4.99 each and the pencil display (includes 2 of each animals from all three series) for $15.00. The pencil display would also be great as party favors! Win It! Thanks to the company, you have a chance to win! 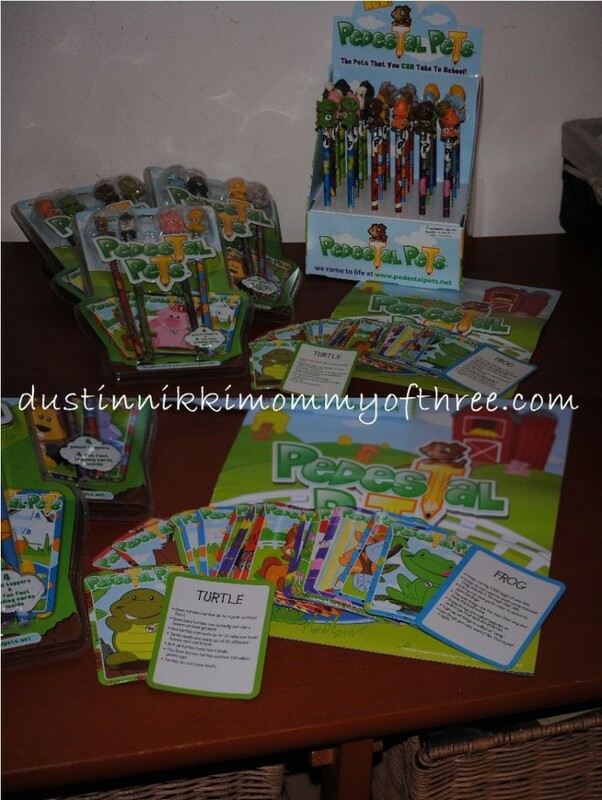 Three (3) of my lucky DustinNikki Mommy of Three readers will win one (1) series 4 pack set for themselves! Please note, I cannot guarantee which series set each winner will receive. My kids would like the Safari collection. I love that kids can print certificates & name their pets. I like the Safari Friends set. Cute! Thanks for the chance to win! These are so cute! My daughter loves the Safari Friends collection. My kids love the safari collection and love how you can name your pet and print out certificates!